Serve, point, match in this classic game of Tennis! Why would anyone in thier right mind, make this purchase when everyone has Wii Tennis? I cannot understand why Nintendo even put this on the VC for downloading. Your points can be spent better than this. This is a good release on the Wii. 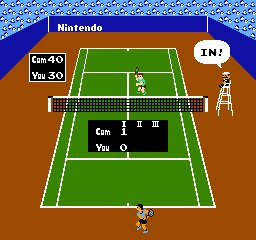 See how Tennis began with Nintendo with NES Tennis! This game seems dreadfully dull and simplistic at first. Play it for fifteen minutes, though, and you will probably become hooked. 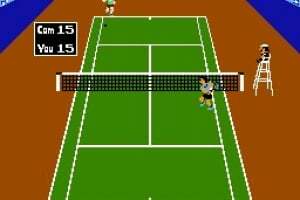 Level 5 is a great challenge, and you will find yourself breaking a sweat as you alternate strategic slams and lobs. 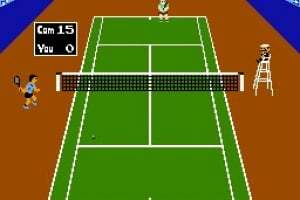 This is only surpassed by Wii tennis in my mind. Some may consider this a coup, but I give Tennis a 5/5. As i first got it on Animal Crossing, it seemed slow, boring and dull. But after some time spent on it, the controls became very good. There is also some challenge to be appreciated. if you have a good player on your side, so this game is really not that bad. Unfortunately there's no VS-match so I rate it 3/5 stars. 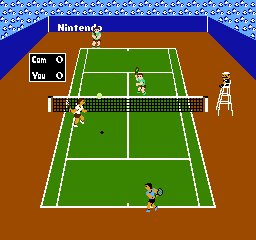 PS: Tennis on Wii Sports is way better of course. But in this game you can at least control your character like you want. I got this for the e-reader for £1 off ebay. Its not bad but too outdated. Sports games (football champ in the arcades is still fun though and World Series Baseball II on the Saturn is still very good) are the only games from the past where nearly all have dated far too much. 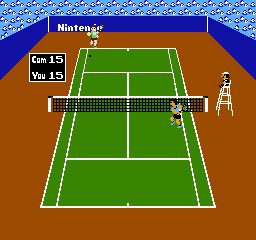 You can make a great argument for Mario 2D games being better than the modern ones and Sonic 2D games blow the new ones away but sports games really are better in the here and now. I played this before. It's not a lot of fun any more. Don't get me wrong, I'll still play this on Animal Crossing. Just not a lot. it is challenging and you can play it for some minutes . 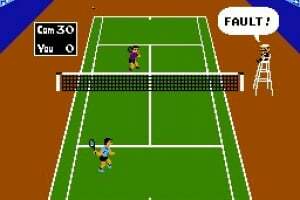 continue after you pause it and get mcenroe angry! 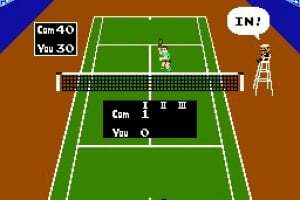 The game requires alot of getting used to, but it's quite fun, and alot more fun then say, "Pong" in my opinion, and alot more realistic, even by NES standards. 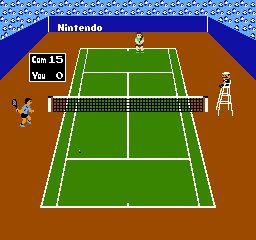 2 Player mode however onley has doubles, so unfortunatelly, you cannot play against a human opponent. If you manage to beat 2 CP opponents in a row, you'll win the game. I found out about this game on Animal Crossing and its a fun game for a few minutes, but I'm not gonna download this one. I hated this game. It's really boring to play. 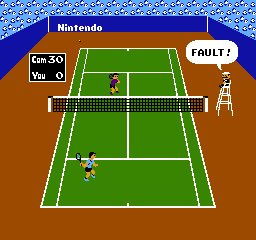 Animal Crossing has some bad NES games like this one. 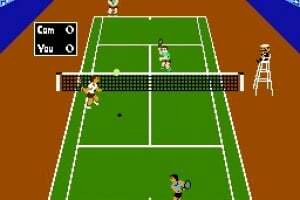 Compared to its "sister" Soccer, Tennis is a real great game. Overall it's an average. 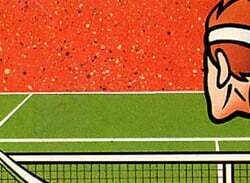 The first real Tennis game. I had a lot of fun with it and i think it's worth a try. 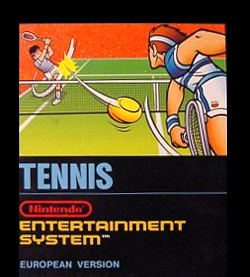 Although I'm a big tennis fan, I've always found this game sluggish and boring. Fun to play with a friend.